To look and feel your best, you'll want to pick up a few key pieces of clothing and accessories at the start of each season. But there aren't too many women who can afford a whole new wardrobe from each designer's runway show. Fortunately, being smart with your finances is a great way to look smart in fashion. 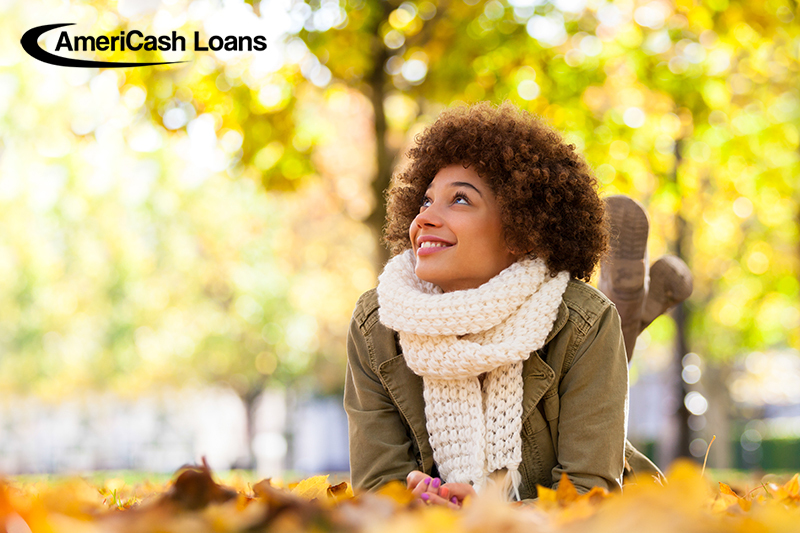 Check out some of these hot tips to update your fall outfits and fashion on a budget. The scarf is back in a big way. It's simple yet glamorous. On the fall runways, designers created entire outfits out of scarves, and you can too. It won't cost much to update your fall style with one or two comfortable scarves to wrap around your hair, neck, or handbag. One of the top looks this fall is a shaggy, warm coat made of faux fur. This style of coat is cuddly yet completely sophisticated. When you're walking into a room with an amazing outer layer, the rest of your clothes can be simple and classic. Designers have made this fall fashion concept so popular that there are many low-cost versions in stores today. Get wild with a vest or a sweater with a faux fur fringe. Neon and everything 1980s flowed over the runways this season, and it doesn't take much to make your look pop. Top designers showed off neon green sweaters and bright yellow bags to offset grays and neutrals. Just one or two '80s-inspired looks (yes, shoulder pads are in, too) are all you need to modernize your fall fashion. Grandma knows what she's doing! This season's textured and draped cardigans are hip and cool. Brightly colored, oversized styles are perfect for day, while one that reveals a shoulder is hot for the night. You can still look hot in one of your favorite old evening dresses by belting a button-down sweater tightly around the waist. No, not wine — although a glass of bubbly would go well with this other hot fashion trend. This fall, pick up a dress or top with jumbo sequins, huge pearls, or glistening gems. They're perfect for nights out as the temperature dips. Plus, you'll be able to wear these looks for upcoming holiday parties. Of course, shopping for affordable clothing and cheap clothes online is a great way to save money when updating your wardrobe with new fall fashions. Instead of just putting your purchase on a high-interest credit card or spending money that should go toward other bills, consider taking out an installment loan that covers all your costs. To learn more, visit AmeriCash Loans' quick and easy online application for a fast approval that can get you funds right when you need them.